One of the gift shops there on the Fantasy, called Mickey's Mainsail, had a pretty decent selection of toys, collectibles, pins and other merch (more on that in an upcoming post). Though I'm not an avid Disney pin collector (I do have a couple here and there), I couldn't resist this open edition The Good Dinosaur set featuring Arlo and Spot among the clouds! That scene is one of my absolute favorites in the film and these pins represent it in such an adorable way. 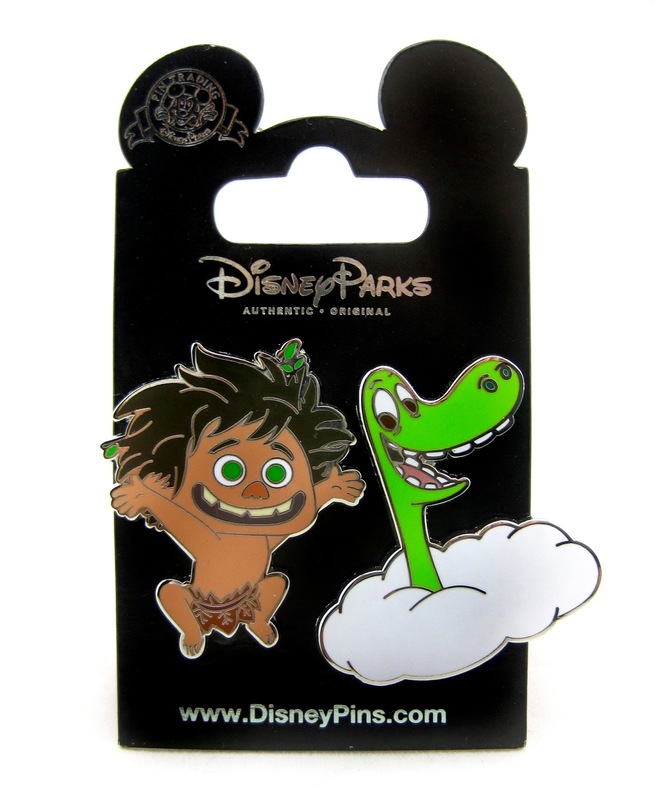 This is a Disney Parks/Cruise Line exclusive with both pins measuring at a pretty standard pin size [of about 1.3" tall]. Retail was $13.95. 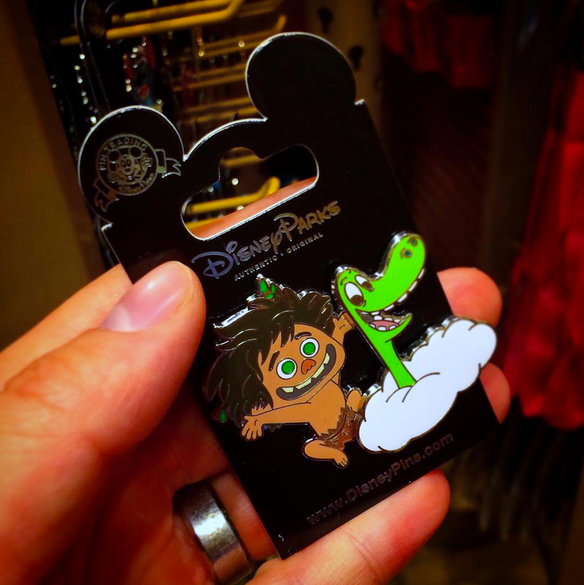 If you're interested in tracking this down for your collection, be sure to check out the Disney Parks gift shops during your next vacation/visit. If you'd rather just pick it up online, visit HERE or eBay HERE using this direct link to current listings.